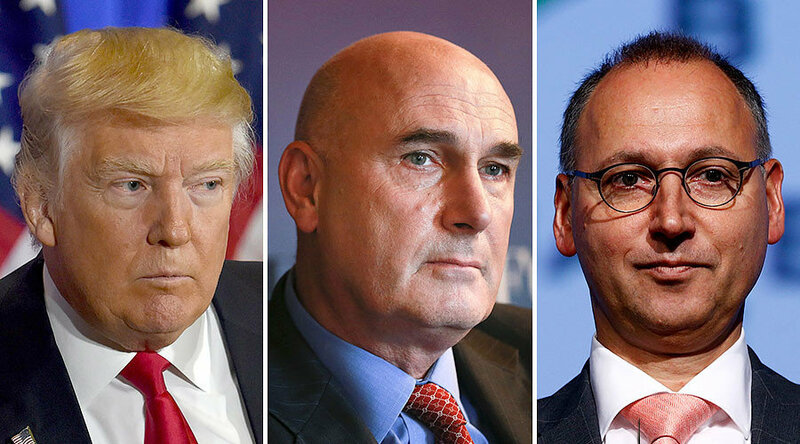 Bayer and Monsanto representatives met with President-elect Donald Trump for the first time last week, after Trump’s first official media conference. According to Trump’s transition team, Trump spoke with Werner Baumann, the Chief Executive for Bayer, and Monsanto’s CEO Hugh Grant. the Bayer-Monsanto merger would result in a 29 percent ownership of the global seed market and a quarter of the pesticide market. Bayer and Monsanto representatives would have also discussed the pending merger of the two, which requires regulatory approval. If Trump’s Department of Justice gives the go ahead, the deal amounts to approximately $66 billion USD. It was reported that the meeting was more to promote the merger rather than ask favours. According to MotherJones, the Bayer-Monsanto merger would result in a 29 percent ownership of the global seed market and a quarter of the pesticide market. This comes at a time when DuPont and Dow plan for their own merger, giving them and Syngenta combined, an ownership of 59 percent of the seed market and a worrying 64 percent of the world’s pesticides. Spanning over the last twelve months, opposition has risen to these deals, concerned over a potential stranglehold on the market, not to mention the dubious nature of such a partnership. The top job for the US Department of Agriculture is also still open, with observers waiting to see who will fill the position under Donald Trump’s leadership. This article (Trump’s Meeting with Monsanto Bayer CEOs was “Productive”) is a free and open source. You have permission to republish this article under a Creative Commons license with attribution to the author and DNewsHQ.